Last week I looked into Split Surface, and how exactly that tool works. 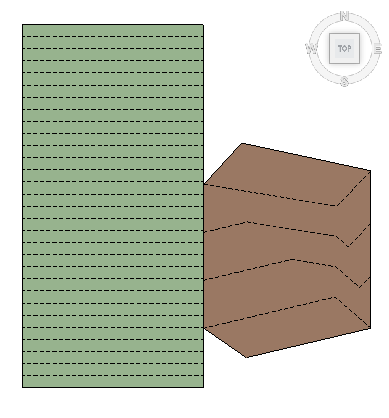 Merge Surface is the opposite tool and can merge two surfaces together. It is interesting to note that there is very limited information available about how both of these tools work. I would guess that this is because both of these tools are quite old, and existed before Autodesk bought Revit (in fact, I would guess that all of the Site tools can be dated to pre-Autodesk days). Another factor would also be that people are constantly asking for new and better Site tools, so they do not bother to investigate what they deem to be an inadequate and archaic tool. And of course, the average architect does not have much incentive to investigate how exactly Topo works. 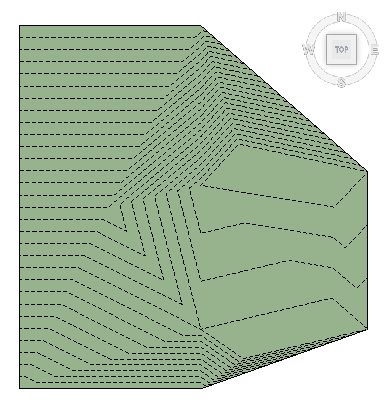 But as a landscape architect, anything that modifies Topo is worth understanding in more detail. So, how does Merge Surface work? 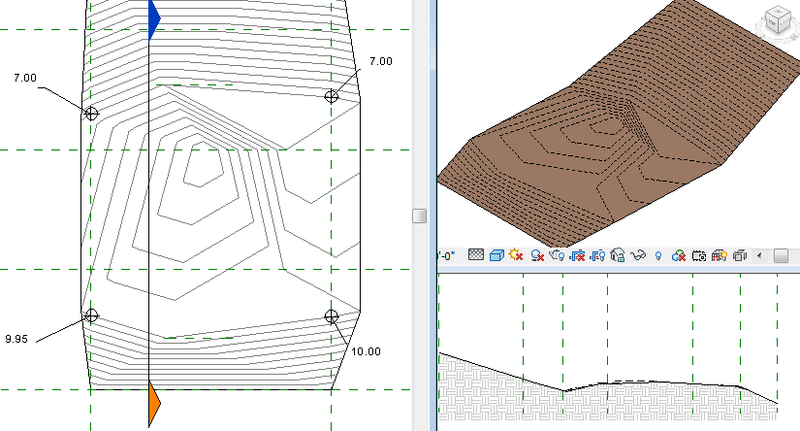 Essentially, Revit takes the points from both Topos and combines them into a single Topo. 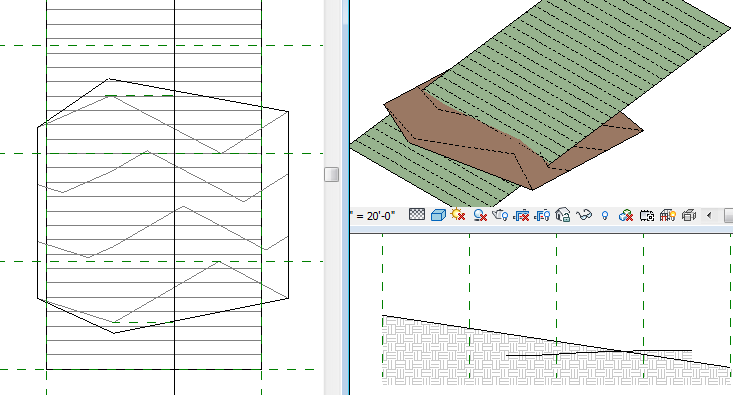 To get the tool to work at all though, the Topos must overlap or share and an edge (as Autodesk will tell you). But what does that mean, exactly? This error doesn’t make much sense, and seems to be a bug. If they only share an edge, you can merge the surfaces together (I did have a reference plane along that edge, to make sure the surface boundary points were in the same plane). This is obviously useful if you need to merge a previously split surface, but Merge is a little trickier when the two Topos directly overlap. When both Topos overlap, Merge will actually discard any boundary points that are within the overlap. 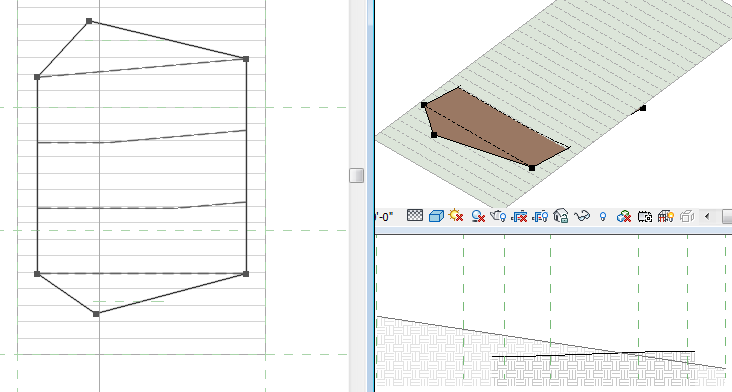 Since those points are no longer boundary points, Revit just deletes them (it would be nice if it converted them to interior points, but it doesn’t). So if you have a simple surface composed of only overlapping boundary points, it appears as if Merge doesn’t happen at all. 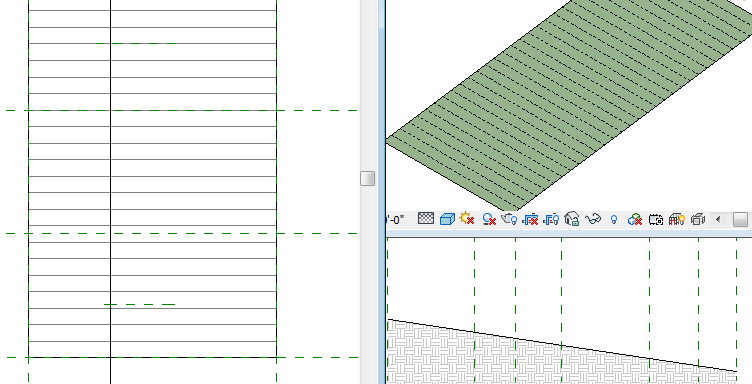 Merge will also create points where the Topos intersect. The Topo that is picked first (and thus designated as primary) will set the height of those points. Here the green Topo is the primary. And here the brown Topo is the primary. The only difference between these two merged surfaces are those 4 points of intersection (and the final material). So that is how Merge Surface works. I think there are some interesting workflow opportunities for using Split and Merge to manage Topo, particularly when civil and landscape split the grading/topo work.